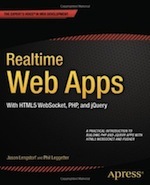 So, you want a real-time API. Where do you start? What method do I use to expose the data? Do I increase the allowed polling interval of my REST API? (Please don't) or offer HTTP Long-Polling, HTTP Streaming and/or WebSocket API endpoints? Or should I offer WebHooks? Are there any tools like API Blueprint, Swagger or RAML for real-time to help? Are there any real-time frameworks built with APIs in mind? And how do I go about scaling a real-time API? In this talk I gave at API Strat Berlin as part of the Architecture, Scalability, and Microservices session, I hope you'll have a much clearer picture of where to start when building your real-time API.